I have had my eyes opened to so many lovely things since starting this blog. There are blogs that I read that delight the visual sense with the most gorgeous images and style, there are others that will often reduce me to tears with their insightful writing, and there are some that will make me giggle...There are writers that I imagine live a similar life to mine whilst other blogs that I subscribe to will be enjoying lifestyles that are planets away from mine! Anyway, I digress...back to what I wanted to post about today. Through this blogging malarkey I have discovered etsy...no, I didn't know what it was either, don't worry! If you have a spare few hours...no, make that days...you can get lost in esty! I thought blog hopping was interesting....I've fancied everything from a Mr Darcy proposal tea towel(!) to some wooden boxes and lots in between. 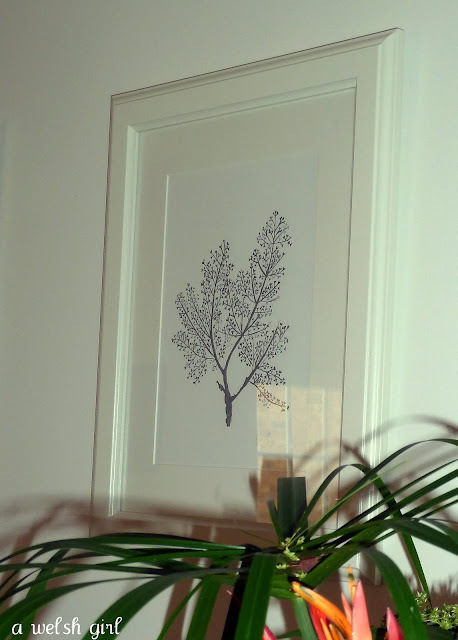 I chose some charcoal sea ferns, seaweed and sea coral prints - and I love them! It was a bit tricky to take a good shot without the reflection of the glass hence the reason that these photos are taken from the side. I think they look simple and elegant and just what I had in mind for that particular wall. Talking of art, I have an amazing acrylic canvas that a friend and work colleague painted for me a couple of years ago that hung on that particular wall. It's very striking, but never quite fitted the space. I have moved it above the fireplace for now. I suppose the traditionalist in me figured that a fireplace mantle needed a mirror....and as I have been unable to find one that I like, maybe I should push my ideas out a little and see...? I love your new prints! And love Etsy - I used to sell my handmade dresses on there. Definitely a fun place to shop through so much talent. 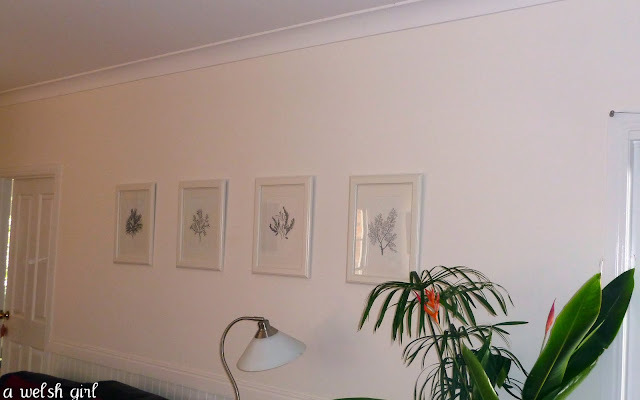 Your prints look fabulous in that spot and also the painting. 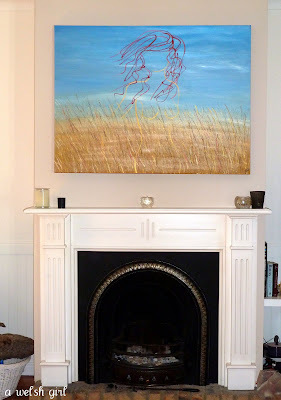 I don't adhere to the mirror over the fireplace thing - I think lots of things look great over a mantel. How lovely. Beautiful prints, what a treat! I haven't tried etsy yet. Think it would be too dangerous for me! Have a great week. Emma. Loving those Beth, and the print over the fire, jury is out about the mirror?!? Never heard of etsy but will be finding out, is it an aussie thing? 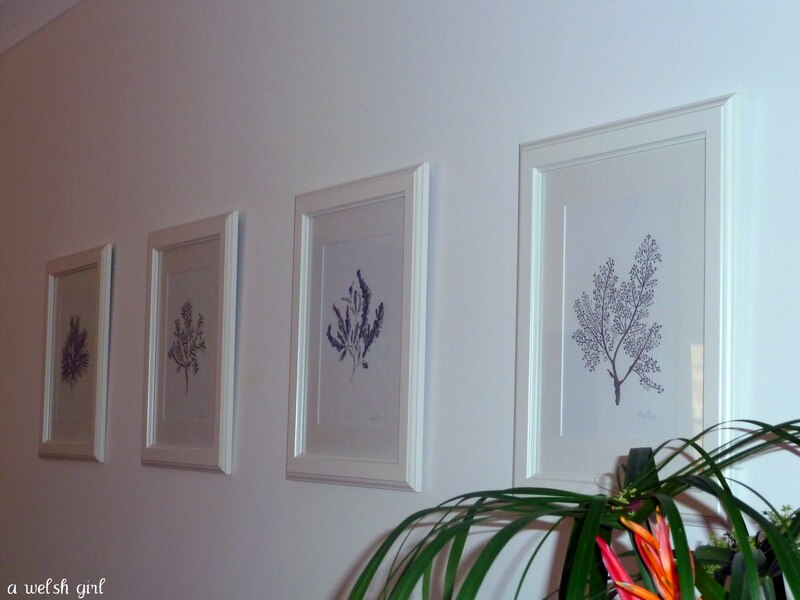 Your prints are gorgeous, and look great lined up together. Kerri has such beautiful print. 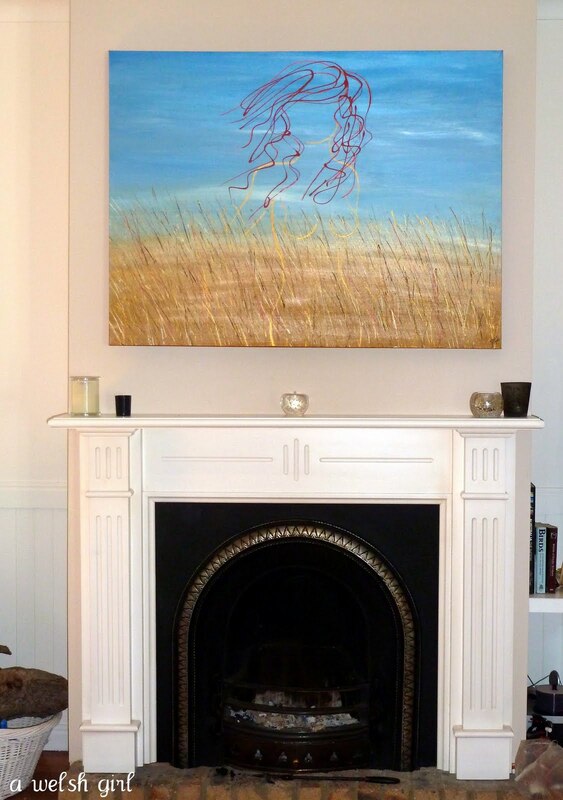 I think your painting above the fireplace looks great. I'd probably prefer to warm myself by the fire looking at a painting than a mirror, or my reflection.